The primary aim of assessing fitness to drive is to assist drivers with long-term health conditions to continue to drive safely and legally, and to identify when driver and public safety may be compromised. While it is true that all drivers have a legal responsibility to report to VicRoads so that the medical review process can be initiated, drivers rely heavily on advice provided by health professionals about how medical conditions and treatments might affect their safe driving ability and their notification obligations to VicRoads. In a case involving an elderly driver with dementia, whose wife was killed in the incident, the Coroner observed there was no evidence that fitness to drive was discussed by the driver’s treating health professionals, despite documentation of his long-standing significant cognitive impairment. 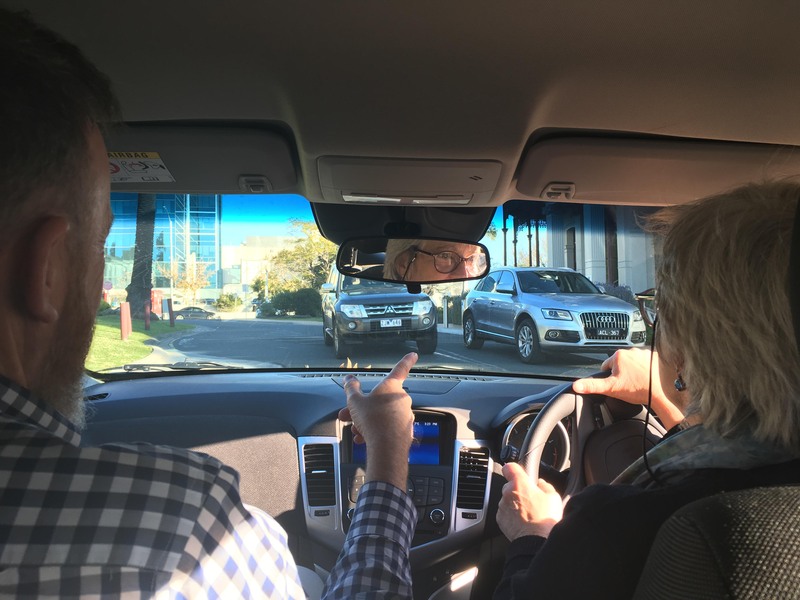 Routine empathetic discussion about driving is integral to the management of progressive conditions such as dementia, where the transition to non-driving is inevitable and is ideally planned and managed through conditional licensing and regular review, including practical driver assessments. All these licensing interventions are facilitated through the medical review system. Discussions about driving need not be the sole responsibility of the health practitioner. Practice staff can integrate conversations about driving into chronic disease management, thus supporting informed patient and family decision-making and engagement. Opportunistic proactive discussion about fitness to drive can also arise during periodic general assessments such as the 75 and over health check. New resources available through the VicRoads website aim to support conversations with patients about driving. There are common misunderstandings about the medical review process and licensing outcomes that may contribute to lack of engagement by health professionals and drivers. Most importantly, having a medical condition does not mean a person is ineligible to hold a licence. In most cases, a VicRoads medical review assessment does not result in licence cancellation. Returning to our dementia example, the national fitness to drive guidelines (Assessing Fitness to Drive 2016) take into consideration the progressive nature of dementia and the need for supported regular monitoring from early on, after diagnosis. Drivers with a diagnosis of dementia are not eligible for an unconditional licence and are required to notify VicRoads so they can come under the medical review process. However, they may be eligible for a conditional licence, linked to a requirement for regular monitoring, which allows them to drive for as long as they are safe to do so, in conditions commensurate with their capacity (such as within a familiar local area with a radius-restricted driving area). Regular reviews are prompted by VicRoads, evidence of fitness to drive is considered on a case-by-case basis and additional assessments advised as required, with VicRoads making all final licensing decisions. Many doctors are not aware of the tools and assessments that can support their decision-making and management of patients with respect to fitness to drive. The Assessing Fitness to Drive 2016 Guidelines describe the criteria and tools for establishing fitness to drive status for common conditions known to pose road crash risks. The guidelines explain that on-road assessments offer high face validity, provide information about functional driving skills that can supplement the medical review assessment and help to clarify concerns raised by family, particularly when the patient presents with cognitive and/or multiple morbidities. They are also helpful for drivers with physical impairments who may benefit from driver rehabilitation and vehicle modifications. While there is currently no mandatory reporting requirement for health professionals in Victoria, there is an ethical obligation for health professionals to support public safety. Therefore, if you believe a patient lacks insight/judgement, or is not heeding advice to cease driving or self-report, you may report directly to VicRoads. You may choose to do so anonymously if you wish. If you believe the driver poses an immediate risk to public safety, you should report directly to the police. Road safety legislation provides indemnity for health professionals making such reports. Legal and ethical obligations for health professionals are outlined in Assessing Fitness to Drive. Our patients rely on us to provide advice about the impacts of medical conditions on driving and to make recommendations for management and monitoring. The VicRoads medical review process provides a mechanism for assessment and decision-making about licensing, and for facilitating ongoing review if required. In doing so it aims to optimise driver mobility and capacity to drive for as long as they are safe to do so in conditions that suit their capabilities. All drivers have a legal responsibility to self-notify VicRoads of significant long-term health conditions or disabilities that may affect driving safety. Health professionals can assist patients to be aware of this responsibility and to understand the medical review process. Having a medical condition does not mean a person is ineligible to hold a license and in most cases, VicRoads medical review does not result in license cancellation. It may result in driving restrictions or medical monitoring to ensure ongoing fitness to drive. While health professionals are not legally mandated to notify directly to VicRoads, they are ethically obliged to act in the interests of public safety if they are aware a patient is continuing to drive despite advice to the contrary. Health professionals making such reports to VicRoads are indemnified under Victorian Road Safety law. A new web page dedicated to fitness to drive for health professionals is now available on the VicRoads website. This is an excerpt from an article which appears in the October/November 2018 edition of Vicdoc. Read the full story.